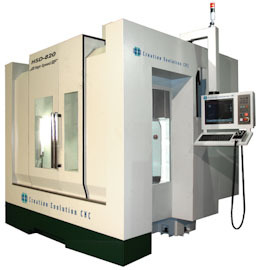 The Creative Evolution CNC by Geonics, Inc. 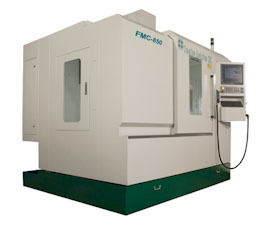 Since 1993, The Creative Evolution CNC name has stood for standout performance for molds, dies, and other complex contour milling applications. High-speed performance with custom-optimized look-ahead is standard on every machine, providing you the best possible cutting times with accurate details. Special models and features are also available to fill your individual needs. Spindles come in a wide range of speeds and power to fit your needs and your budget. 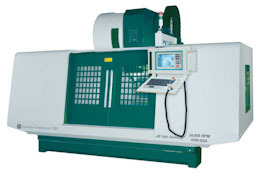 Chip conveyors, through spindle coolant, mist coolant, pallet systems, robotic parts changers and fixture systems, magnetic workholding, and a wide variety of other tooling are examples of the many options available. 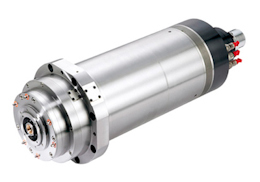 All machines may be equipped with rotary or tilting rotary axes for simultaneous 4 and 5 axis contour milling. High Speed & Heavy Metal Removal! 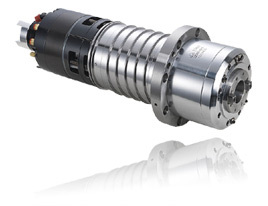 Many spindle options are available for new Creative Evolution machines to meet most any need. Most are maintained in U.S. stock for prompt exchange at overhaul time. If you don't see your preferred configuration listed, please ask us. Sealed motorized cartridge, 100 mm dia. 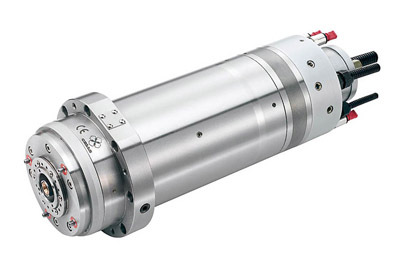 Optional 20 HP peak 126 mm dia. Sealed motorized cartridge, 170 mm dia.